I had been thinking about getting a laptop stand for my standing desk for awhile, so I’m grateful for the opportunity to review the mStand Laptop Stand by Rain Design. In the few weeks that I’ve been using the mStand it has provided an ergonomic solution to using a laptop at my standing desk with an unobtrusive yet solid design. Upon first taking the mStand out of its packaging I noticed its sleek design. 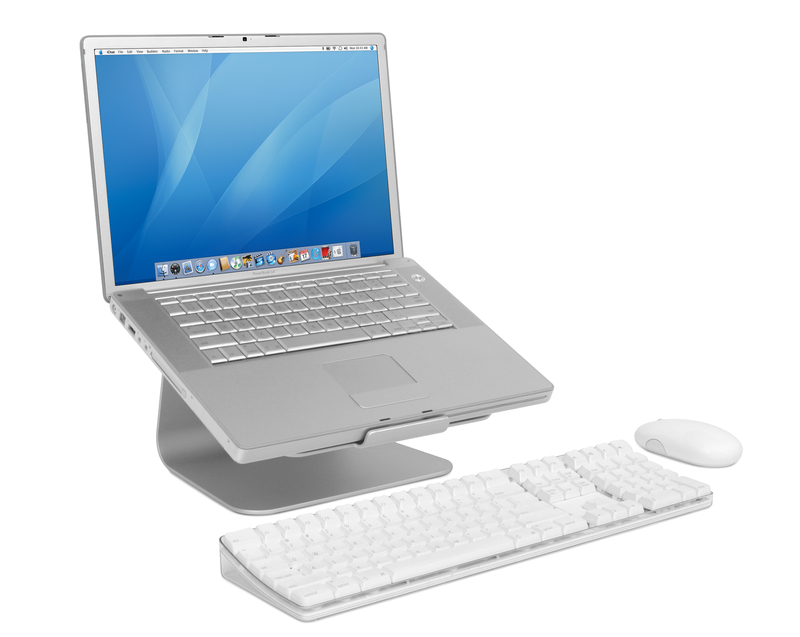 The stand is a single metal piece in the shape of a smooth curve, with curved edges and a curved lip to hold a laptop in place. On the bottom of the stand, as well as where the laptop sits, are gray rubber grips that keep the stand and your laptop from slipping. My laptop is my primary computer. I work in different places so I need portability across meetings, classes, coffee shops, and various office spaces. Upon using the mStand I noticed right away that I was standing up straighter and not hanging my head down to see the screen. This is because the mStand raises the laptop screen and tilts the keyboard. This laptop stand also has a nice weight to it, which is necessary to keep it stable. However, I found that the faster I type while my hands are resting on the laptop and the screen is angled past straight up and down, the screen will shake. This is remedied by not resting my hands on the keyboard when I type. Since I’ve been using the mStand in my home office I’ve been wishing it were more portable, especially because I have a variety of workspaces. But I think I just wish I had one at each location I work in! What it lacks in portability it makes up for in stability. Overall, I’m a big fan of this sleek design, and if you’re an Apple user you’ll appreciate the matte aluminum finish. I also want to mention that the mStand comes packaged in recyclable cardboard, which I appreciate. 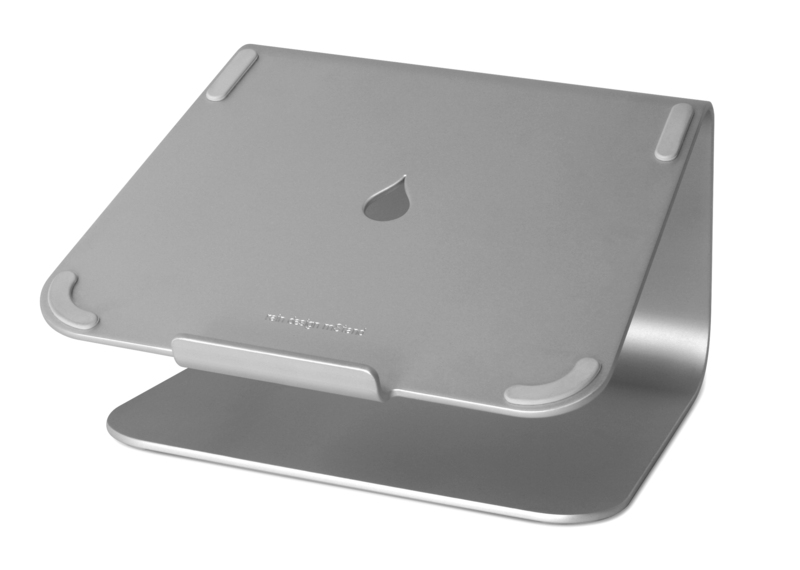 So if you’ve been thinking about a laptop stand, the mStand by Rain Design is a good choice for its sleek sturdy design. Casey Miles is a PhD student at Michigan State studying queer rhetorics through documentary filmmaking and digital rhetoric. You can find out more about her work at www.soulsmiles.com, or follow her on Twitter @soulsmiles.